An application with the US Patent & Trademark Office (USPTO) has revealed an expandable display technology. The technical drawing shows a device that can be pulled apart to enlarge the screen; not unlike how those extending dinner tables work. 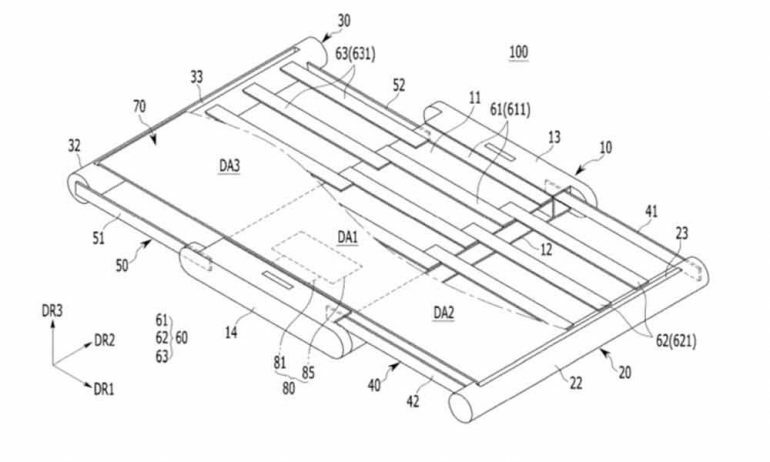 According to the patent filing, the screen consists of three different panels sandwiched in the body of the device. Pulling on the side allows the hidden panels to slide into position on the front of the device, which increases the amount of viewable space on the display. More than a few things are still unclear about how Samsung would actually deploy this technology. Seeing that it looks like a lot of moving parts just to get a questionable amount of additional space. Stacking three displays on top of each other would also result in an extremely thick device; even if most of the electronics are moved into the scroll-like handles on the sides. 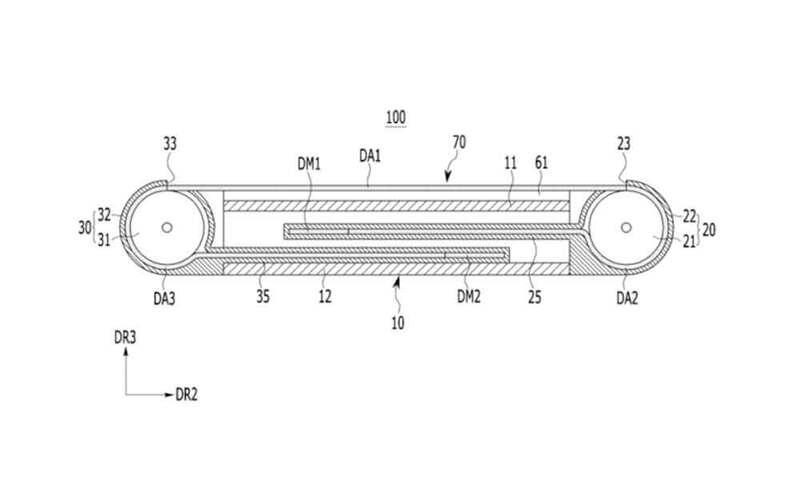 It’s a novel idea for Samsung to patent, and one that might have real world applications. That said, this is unlikely to see the light of day any time soon. Samsung has been patenting a variety of display ideas as of late; none of which seem to have resulted in a physical product.